Since their appearance at last year’s darc room, Lightly Technologies’ ultra-thin LED Hikari SQ panels have been gaining a lot of attention. Here, David Morgan casts his eye over the slimline sources that will be on show at darc room this September. When a small start-up company manages to raise more than £400k of equity investment by crowdfunding to develop and market a ‘Post It’ note-sized light panel I was intrigued and wanted to know more about the technology and the team behind the company. The two founders, Matt Hanbury and Brian Charman, met in 2012 while they were both working at Philips Lighting. Matt started at Philips on its engineering graduate scheme and was sent to its OLED factory in Aachen, Germany to work on mechanical engineering for OLED modules. At that time Brian was manager of the Philips Lighting Experience Showroom, where he introduced new lighting technologies, including OLEDs, to customers and specifiers. After leaving Philips, Matt worked in Japan for Apple on the production engineering and development of iPhone displays, which introduced him to a wide network of suppliers in Asia. Both of these experiences gave him tremendous exposure to the detail design and mass production of thin illuminated panels. On moving to Dublin, Matt decided to start his own company to create a new light source that would fulfil the initial promise of OLED light sources but without the associated high costs and their inadequate performance. After some months of frantic development work, a prototype of a panel was ready, and with patent protection for the design in place, Brian joined as joint founder of Lightly Technologies in June 2016 to help commercialise the concept. After self-funding the company for the first year, an initial round of Angel investment with family and friends was completed by mid-2017 to allow the company to continue to invest in development and tooling. 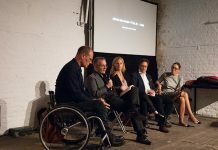 The first modules, in pre-production form, were unveiled at darc room in London last September and were branded Hikari SQ. Hikari is Japanese for light and the modules were square, hence the SQ addition. Matt and Brian were encouraged by the positive reaction at the show from both lighting designers and luminaire manufacturers and embarked on a second round of fundraising, which completed in early 2018. The investment raised has allowed the company to invest in production tooling, stock and most importantly sales and marketing activity. When I first spotted the company at darc room I was impressed by the thinness of the panel, the even lit surface and the high level of light output. My immediate impression was that it was another version of an OLED panel but after realising that the technology was based on traditional LED sources combined with advanced optical design I purchased a developer kit and we have been investigating how to incorporate the Hikari SQ into our luminaire developments. The design of the Hikari SQ is based on a thin side-lit, injection-moulded micro prismatic controller. The quality of the optics ensures that the panel is evenly lit across the surface, allowing uniformity, and there are almost no telltale signs of LED dots around the edges. 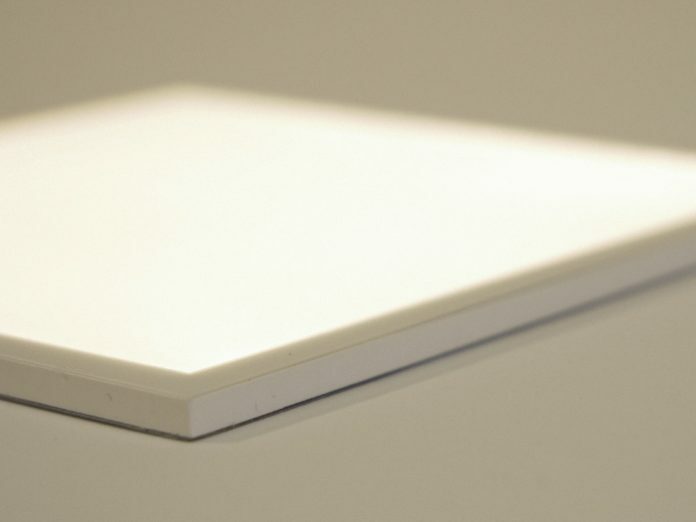 The Hikari SQ is 100mm x 100mm and 3.5mm thick, and provides up to 400 lumens with an efficiency of 80 lumens per Watt. Surface brightness is up to 10,000 nits, which to my eye is on the limit of comfort for a small light source, although it is in fact lower than a T5 fluorescent lamp. The technical characteristics are familiar ones for LED sources with a lifetime of 50,000 hours. The initial range of colour temperatures will be 2,700k, 3,000k and 4,000k with a CRI 90 and R9 over 60. Uniformity across the surface is 85-percent and the beam angle is 100-degrees. It is understood that no extra heat sinking is required but when run at full power it should be mounted onto a sheet metal base of some form. 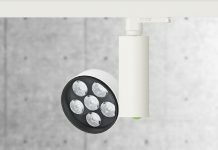 Apparently, the greatest interest in the modules so far has come from the retail and hospitality sectors, where potential uses include statement chandeliers in entrances as well as decorative and high-performance luminaires for these applications. The first luminaires incorporating the Hikari SQ are likely to be launched this autumn. The plan is that once the 100mm x 100mm module is fully launched other shapes and sizes will be introduced. Dynamic white versions are also likely to be introduced soon, with colour changing following later on in the product pipeline. As a luminaire designer, my first questions to any supplier offering a new light source are what the primary lighting applications are, where it can be used and how this source will help me to create novel, attractive, functional and commercially viable luminaire designs. One of the key issues for me is whether the Hikari SQ can be used as a naked light source. The OLED sales story that large areas of evenly lit panels are attractive always seemed somewhat questionable. It is one thing to experience and enjoy the perfectly flat light effect of Anthony Gormley’s Blind Light fog installation, but most lighting projects require a mixture of accent lighting and indirect lighting with the light sources hidden from view as much as possible. My reaction to the Hikari SQ has oscillated from initial enthusiasm to a more considered concern that there may be insufficient specific applications to generate volume sales. However, it may turn out that the Hikari SQ will have many niche applications rather than a few killer uses and that these will be sufficient to give the company the critical sales momentum needed to thrive. We worked on a project some years ago with Joe Geitner of George Sexton Associates where the Hikari SQ would have been the perfect light source. We ended up making a custom LED panel that worked fine, but the overall depth of the luminaire could have been reduced significantly if the Lightly source had been available then. Joe Geitner’s comments on the Hikari SQ were positive for use in cabinet lighting but he felt that the 100mm x 100mm size might be a limitation for other uses. As the product range develops, the offering will become more attractive as it will offer more uses, for more applications. 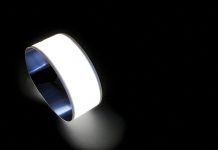 If Lightly can gain sales growth with the initial module and go on to create a full range of ultra-thin LED modules in a variety of shapes, sizes and colours then the future will most certainly look bright for Lightly Technologies.